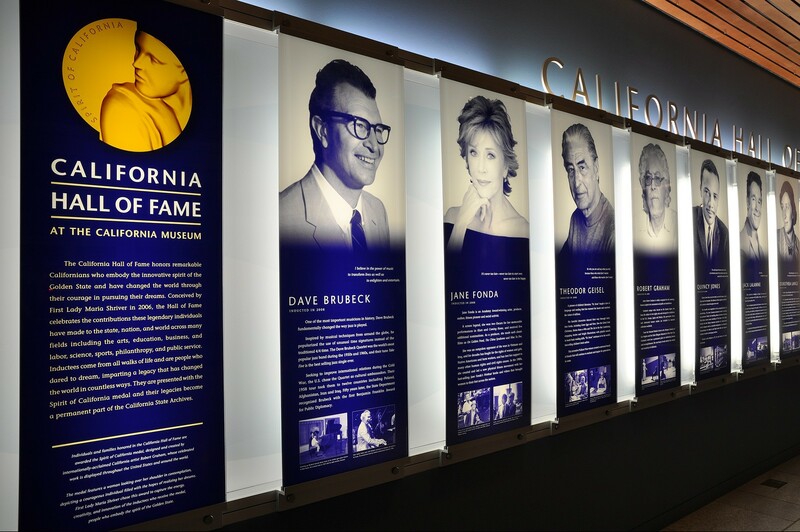 Appreciate the accomplishments of great Californians, past and present. 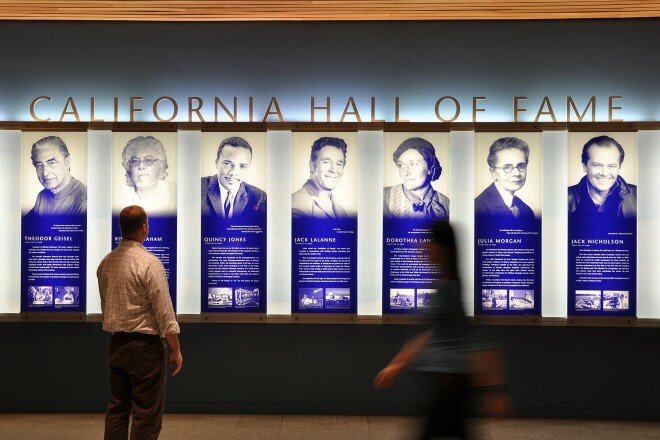 The California Hall of Fame, housed in The California Museum, celebrates extraordinary Californians who have made a lasting impact on history. This stunning installation in the museum lobby invites visitors to explore a phenomenal collection of artifacts, photographs and memorabilia representing the lives and legacies of inductees. The exhibit introduces the inductees and inspires visitors with stories of determination and vision. 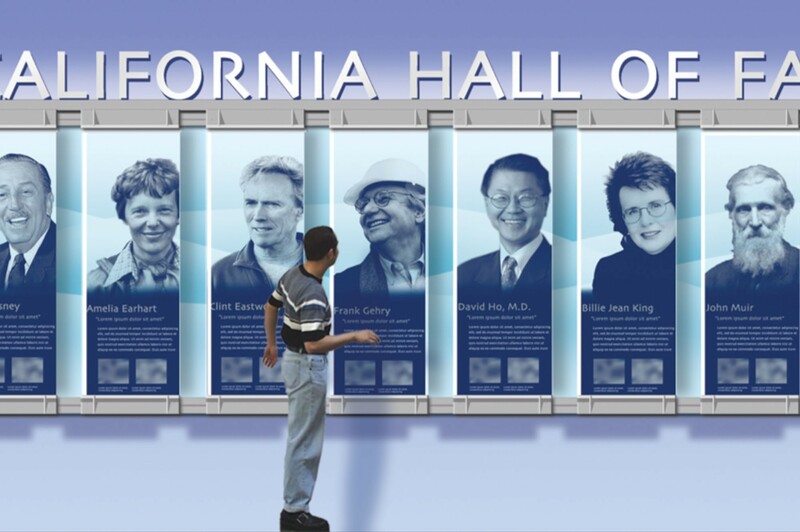 It is designed for flexibility and easily updated with new inductees each year. 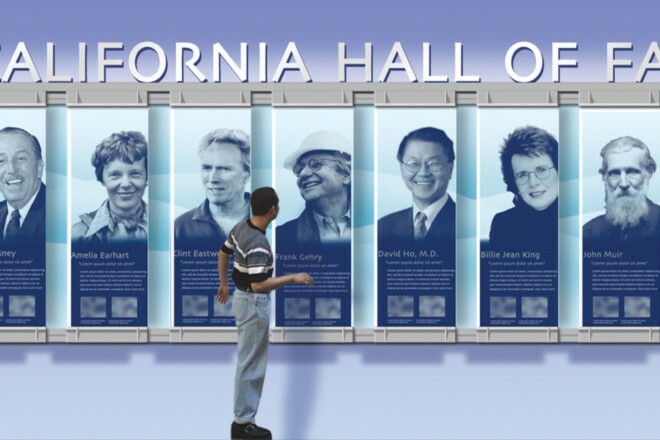 In the opening year inductees included such legends as Clint Eastwood, Frank Gehry, Cesar Chavez, and Billy Jean King. 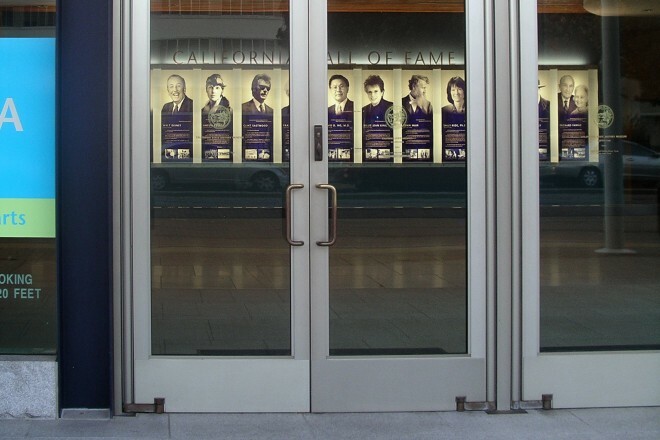 A 40–foot by 7–foot stunningly designed exhibit greets visitors at the door.